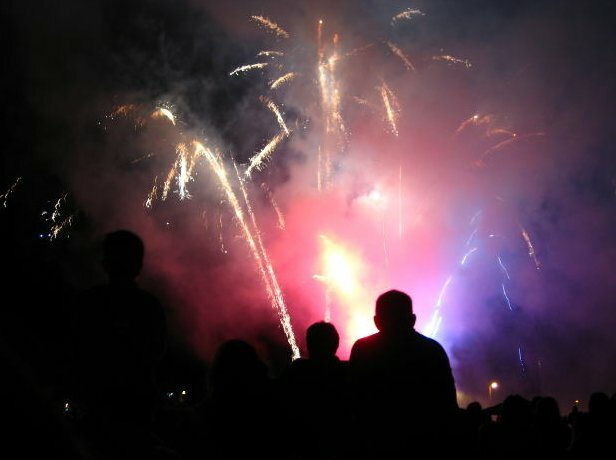 Fireworks For Your Taste Buds: 10 Smart & Healthy July 4th Recipes! 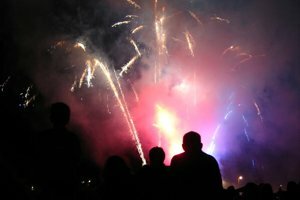 The July 4th celebrations are right around the corner, and many of you might be feeling stressed to miss out on some of the delicious foods offered. Get some healthy dish ideas to help you stay on track. Find out more right here! Angel food cake is a lot lower in total calories than regular cake. 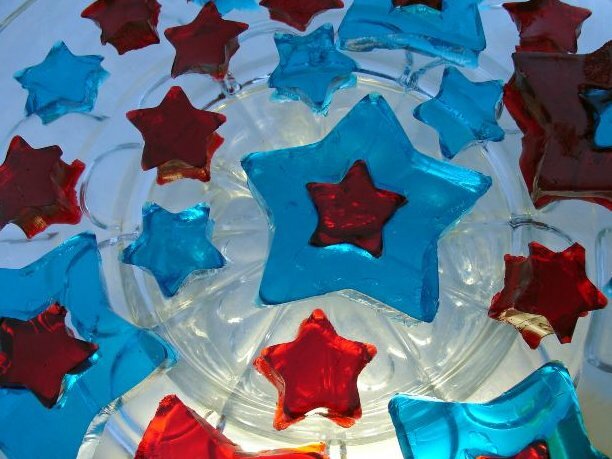 Jell-O offers a variety of options to ring in July 4th the healthy way. A healthy smoothie is a great way to reduce hunger in the afternoon. With July 4th celebrations right around the corner, those of you who are on a fat loss diet may be feeling a slight degree of anxiety surrounding all the different dishes, drinks, and desserts that are likely going to be served to celebrate the occasion. Whenever you combine plenty of alcohol with high calorie food dish items, you&apos;re really asking for trouble since your better-food judgement will be at a lowered level after drinking, making it that much harder to stick with your plan. That&apos;s not to mention the additional calories that you&apos;ll be taking in with the alcohol itself. With some smart changes to the menu though, you can survive your July 4th celebration with your diet in tact. Obviously in some situations you&apos;re not going to be able to dictate all the dishes that are served, but choosing wisely from what&apos;s available and offering to bring your own dish so you know you at least have one healthy item to choose from will help keep your calories in check. Way Of Your July 4th Celebrations. Most people are going to be serving some type of cake or pie dish. While you can prepare a usual chocolate cake using methods that will reduce the total fat and calorie content (swapping applesauce for oil, egg whites for whole eggs, protein powder for half the flour, and so on), another option is to just choose angel food cake instead. [ Click To Join The Thread. ] Healthy Dessert Recipes? I was wondering if anyone had some healthy dessert recipes. I want to try to eat as clean as possible for the holidays so I don&apos;t delay my results! This type of cake is typically a lot lower in total calories than regular cake and is virtually fat free. Use some fat-free, sugar-free pudding as a topping and between layers if desired, along with some sliced fresh strawberries and blueberries to decorate with the flag colors. 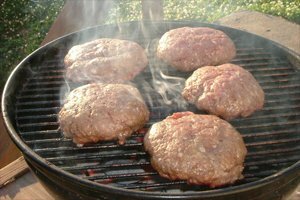 Regular beef burgers tend to contain more fat then they do protein, therefore are not going to be the best option when it comes to grilling. 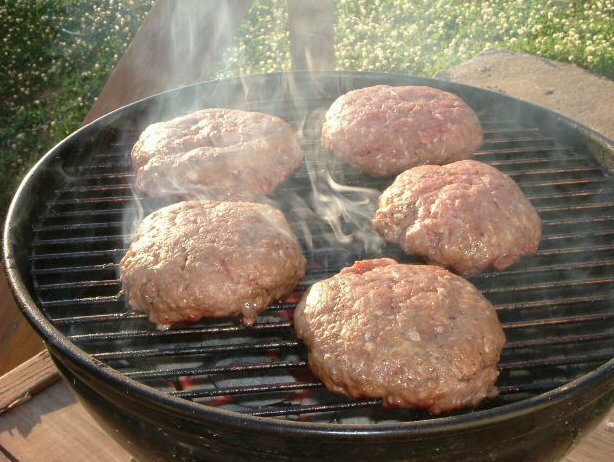 Instead, create healthier burgers out of ground turkey. Combine 1 egg, 2 tablespoons lemon juice, 1 tsp dill weed, 1 glove garlic, and half a teaspoon of salt with 1/3 cup oatmeal. Next, mix in 1 of pound ground turkey and form into four or five patties. Entree For Your Summer BBQ. Grill over medium heat for 8-10 minutes flipping at the halfway mark. Serve on a sliced whole grain bun along with low-fat mayonnaise and mustard. Most layered desserts can add up to hundreds of calories very quickly due to the combination of creamy with pastry layers. This lighter version not only is lower in total fat, but also offers a high amount of protein per serving. First whisk together 8 egg whites with 2 scoops vanilla protein powder (or alternatively, 4 egg whites with 1 scoop vanilla protein powder and in another bowl, 4 more egg whites with 1 scoop of chocolate protein powder). Once well mixed, pour a small portion of the batter onto a lightly oiled pan and cook like you would a pancake, flipping once golden. Once they resemble a crepe like pancake, set aside and continue cooking until you&apos;ve prepared 5-8 crepes total. Next, whip up a low-fat whipped toping, stirring in 1 tsp vanilla extract during the process. Spoon the whipped topping over one crepe and then sprinkle with fresh strawberries, raspberries, and blackberries. Layer a second crepe over that and repeat the process again until all the crepes have been used up. Tuesday, Week 11: Recipe Ideas! Kris Gethin is your own Daily Personal Trainer! Today we&apos;re in the kitchen for some great recipe ideas! Looking for something new to try? Preparing a pizza on the grill is a simple dish that gives a twist on the usual pizza. To prepare this, smear some low-sodium tomato pasta sauce over a whole grain soft tortilla shell. Next, grill up some lean chicken breasts with barbeque sauce as you normally would. Once done, slice into thin strips and layer them over your tortilla. [ Click here to learn more. ] Prepare Healthy Pizza! If you ask many people what their favorite food is - or what they typically choose to eat on their &apos;cheat day&apos;, they answer quickly with the word, pizza. Sprinkle on any combination of mushrooms, onions, diced tomatoes, and peppers and then sprinkle with Parmesan cheese or low-fat mozzarella. Place on the grill and cook for 3-4 minutes until the tortilla begins to crisp. Serve immediately. 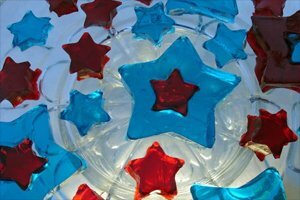 With the sugar free variation of Jell-O, this product offers a wide variety of options to ring in July 4th the healthy way. Prepare one package of Berry Blue flavoured Sugar-Free Jell-O mix according to package directions, adding in one cup of fresh blueberries. Let set. In a small saucepan over low heat, melt 2 packages of fat-free cream cheese along with 1/2 cup cottage cheese together. Stir in 1/2 cup to 1 cup of Splenda to desired sweetness level. Set aside and allow to cool for 10-15 minutes and then spread over set Jell-O layer. To Ring In July 4th The Healthy Way. Next prepare one package of Sugar-Free Raspberry Jell-O according to package directions, this time adding in one cup fresh raspberries. Pour this mixture over the cream layer and let set one final time in the fridge. Serve chilled with low fat whipped topping. Since there are going to be some individuals who just do not want to give up consuming some alcohol to celebrate, the least you can do is make a wise choice so it contributes fewer calories to your overall diet. Many mixed cocktail type of drinks are extremely high in calories, sugar, and sometimes even fat, really throwing off your diet plan. To make a healthier cocktail, mix together vodka, cranberry juice, and diet Spite or 7-Up. [ Click here to learn more. ] Bodybuilding & Alcohol! Alcohol (ethyl alcohol or ethanol), one of the worlds oldest, most widely used, drugs, has many effects on the body, some positive, but most negative. The cranberry juice will provide a small amount of calories but the calories are going to be healthier than pure sugar and it will also help slow down the alcohol from releasing into the bloodstream. If you&apos;re not a mixed drink type of person, if you don&apos;t mind the taste of the light beer varieties out there, you&apos;ll save yourself about 50 calories per beer. Do You Plan On Drinking Alcohol Over The 4th Of July Weekend? Potato salad is a typical mainstay of most people&apos;s outdoor meals, but it&apos;s also a dish that can pack a very high amount of fat and calories. To prepare a lighter version, first cook 2 pounds of small potatoes in a saucepan over high heat. Once cooked, set aside. After that, take 5 pre-cooked hard boiled egg whites and slice into very small pieces. Mix together with 3/4 cup fat-free mayonnaise, 1 tablespoon of Splenda, 1 tbsp mustard, 1/2 tsp seasoning salt, and 1/4 tsp pepper. [ Click To Join The Thread. ] Homeade Potato Salad? It consists of freshly peeled potatos, several hard boiled eggs, celery, a little mayo and a little mustard. How healthy would this be for you? Also chop up one large sweet onion, 2 stalks of celery, and 1/2 cup green onions. Some individuals will also want to add a few sliced pickles for additional flavor. From there, combine the potatoes, mayonnaise mixture, and chopped vegetables in one large bowl and serve or place in the fridge. 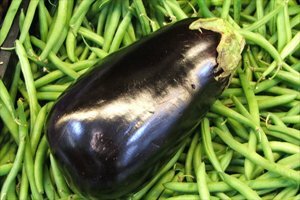 Most people don&apos;t ever think of preparing eggplant as it&apos;s not a common vegetable that&apos;s consumed, but when done right it can actually be quite tasty and only contains 20 calories per one cup cubed. Additionally, it&apos;s very high in fiber supplying you with 2.8 grams per cup. 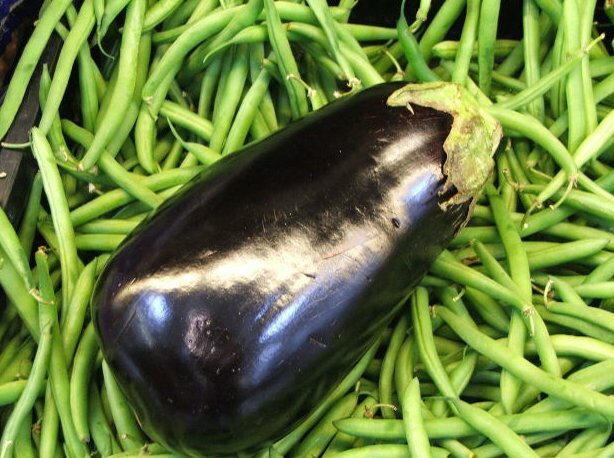 To prepare it, slice one eggplant about 1/2 in thick. Next, in a large bowl combine three tablespoons of olive oil, two tablespoons balsamic vinegar, 1 clove of thinly minced garlic, and a desired amount of basil, oregano, and onion powder. As It&apos;s Not A Common Vegetable That&apos;s Consumed. Brush the sides of the eggplant with this mixture until well coated and then place on the grill. Cook for 7-8 minutes, flip the eggplant over and then sprinkle over 2-3 tablespoons of Parmesan cheese on that cooked side (you may want to brush a bit more of the mixture over to give the cheese something to stick to if desired). Cook for another 7-8 minutes until both sides are done. Preparing a healthy smoothie is a great way to reduce hunger during the afternoon before the dinner meal and is also quick, making it a great option for those who are entertaining guests and would rather not lay out the usual chips and soda. Create your own healthy smoothie by blending together 3/4 cup skim milk, 1/4 cup pure juice, 1 cup frozen fruit of choice, 1/2 scoop vanilla low-fat, low-sugar frozen yogurt (or regular yogurt if you don&apos;t have frozen), and one to two scoops of vanilla protein powder. Pulse blend until well combined. Note that you can add 1-3 cubes of ice as well if you prefer a thicker smoothie. For the vegetarians looking for something special for their July 4th menu, stuffed Portobello caps are a delicious decision that are higher in protein content. To prepare these, in one bowl combine 2-3 chopped plum tomatoes, 1/4 cup sliced red onion, 1 tsp minced garlic, 1 tsp olive oil, and 1/2 tsp oregano. Next, remove the stems from four Portobello mushroom caps using a spoon and set aside. Mix together 1 tsp olive oil, 1 tbsp lemon juice, and 1 tsp low-sodium soy sauce. [ Click here to learn more. ] 11 Summer BBQ Recipes! I&apos;ve whipped up some of my favorite, easy on the waistline, easy to make, healthy foods for you. Try them out! Brush this mixture over both sides of the caps and then place on the grill, stem sides down. Grill these until they are soft to the touch and then flip over and grill the other side. Once finished, fill them with the tomato mixture, sprinkle with 1/2 cup part-skim mozzarella cheese and then place on the grill once again for 2-3 minutes until cheese is melted. So don&apos;t let this year&apos;s celebrations meddle with your diet. As long as you stay focused and are willing to make a few simple swaps, there is no reason why this holiday has to set you back.